In William Ury’s sequel to “Getting to Yes”, “Getting Past No,” 1 the co-innovator of the principled (interest-based) negotiation method considers the problem of impasse in negotiation. Ury proposes a strategy for breaking through barriers. The first barrier Ury identifies is closely related to Ariely’s principle of the effect of expectations: your natural reaction. The mediator, as architect of the negotiation process, helps to build the parties’ respective balconies. First, she designs the setting for the mediation. From the location of the boardrooms to the placement of the chairs, the mediator can help foster a comfortable and inviting space for clarity of thought. Juxtapose this image from one in which a four-way meeting between clients and their attorneys takes place at one of the lawyers’ law offices (i.e. defense attorney). The prestige and opulence of the firm setting may trigger expectations in terms of the settlement range available to the plaintiff or defense counsel’s aggressiveness and comfort in drawing out expensive litigation. Mediators utilize various techniques to counteract the effect of this expectation and inject hope and optimism into the negotiation process. A mediator sets the stage for good faith negotiations. He works to develop rapport and trust between himself and each party respectively. The mediator may operate through shuttled diplomacy in order to change the “face” of the negotiations from adversarial to one that is familiar and friendly (his own). The mediator may direct parties to subtle inconsistencies in their reasoning and encourage small acts of generosity between them. All of these techniques, which are not exclusive, operate to drive parties from expectations of impasse and back to conscious reasoning and informed problem-solving. Awareness of the psychological principles of influence and persuasion is not incidental to a mediator’s responsibilities, but essential to her ability to be effective. Accordingly, utilizing the tools of influence, like commitment and consistency, and employing the effect of expectations, does not in and of itself generate an ethical dilemma. Notwithstanding, ethical implications do arise when a mediator engages psychological tools of influence in order to coerce or trick parties into agreement. This practice contradicts the foundational principles of mediation: voluntariness and self-determination. The mediator’s goal in utilizing the tools of influence ought to be to disengage parties from their psychological short-cuts and help them process decisions with full consciousness and clarity. Of course, in order to achieve this, the mediator might be required to employ certain counteracting techniques. For example, mediators routinely engage in “process persuasion.” 9 For example, when a mediator requires the parties to sign a mediation agreement, the mediator is using process persuasion and engaging the commitment and consistency principle (i.e. getting the parties to “commit” to the mediation process generates the psychological need to appear consistent, such as by engaging in good faith negotiations). The goal in the mediator’s use of psychological tools of persuasions must be process-driven and principled. The mediator might use the commitment and consistency principle by framing concessions in reason to maintain the appearance of consistency. Similarly, the mediator might employ the effect of expectations by coaching parties through strategic negotiations, for example by dissuading disputants from making extreme demands that would cause impasse. If, however, the goals are settlement-driven or self-interested, the mediator risks crossing the line of persuasion and influence and robbing parties’ of their self-determination. The art of mediation requires mastery of many arts and disciplines, including persuasion and influence. Cialdini and Ariely’s respective psychological concepts of influence provide us with some powerful tools that can assist mediators in setting the stage for a fair and effective negotiation process, including commitment, consistency and the effect of expectations. Like any power, the tools of persuasion, ought to be utilized with selfless intention. Effectiveness in mediation must always be second in priority to integrity. Mediators must strive to preserve their personal character and the integrity of the mediation process in utilizing psychological influences, like commitment, consistency and expectation. 3 Hoffman & Wolman, supra. 8 James H. Stark and Douglas N. Frenkel, Changing Minds: The Work of Mediators and Empiracal Studies of Persuasion, 28 Ohio St. J. on Disp. Resol. 263 (2013). "One of the best suggestions I provide to participants in my Mediation Training is to put the mediate.com icon on their tool bar. 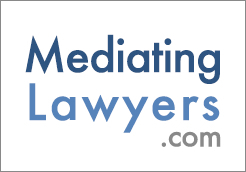 It is the best resource for anyone who is serious about mediation."